The first-time writer/director sits down to talk about his extraordinary debut Beasts of the Southern Wild. It seems all you have to do to become an indie filmmaker these days is stick some alt-rock on your soundtrack, spend less than $10 million and cast someone cool. Benh Zeitlin is not that kind of indie filmmaker. Beasts of the Southern Wild writer/director is the kind who sets up his office in an abandoned convenience store in deepest, wildest Louisiana, spends weeks figuring out how to help run a bakery so its owner will agree to a lead role and builds a central prop – a makeshift boat – out of his own pick-up truck (which accidentally exploded during the shoot). Zeitlin, who has just turned 30, speaks in perfect paragraphs and has a presence so calming that it sheds some light on how he got one of the year’s best performances from a six-year-old. Quvenzhané Wallis plays Hushpuppy, a thoughtful, fierce, dignified kid living in a shack in the Bathtub, an off-grid community threatened by flooding, where people fish, drink and tell stories. The film, which has moments of magic realism, unfolds from her innocent point of view. 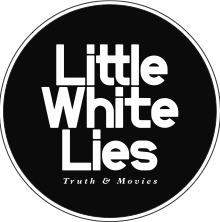 LWLies sat down with Zeitlin recently to find out what it means to be behind one of the most talked about films of the year. LWLies: Is there a story from the shoot that demonstrates how you and Quvenzhané connected? Zeitlin: The amazing thing about her is that she’s so much a kid and at the same time she has all this wisdom and self-reflection. I’m always trying to find a common language with each actor – it’s not like everybody learned the same acting techniques – and there was a scene where she had to be really angry, and she came to me and said, ‘I’m just not angry enough. You have to get me angry.’ So we started jacking each other up and it wasn’t working and she was like, ‘All right, do you need me to be yellow angry, red angry or purple angry?’ I was like, ‘What’s the angriest of all of those things?’ and she was like, ‘Purple is the angriest,’ and I was like, ‘Well that’s what I want, purple.’ She was like, ‘No you don’t. You don’t even want to see purple. I’ll give you red but you don’t even want to see purple.’ That’s a sophisticated acting interaction, but with colours as opposed to Stanislavsky. Did you ever persuade her to do the purple? Oh no, she did the red. There is no purple in the movie. She refuses to do purple. Without giving anything away, there’s a scene in which Hushpuppy is trying hard not to cry, but she does, and the emotion is so real. How did you get that performance? It was definitely the hardest shot in the entire film. It was funny, because when we cast her, she was five and she would cry all the time. If it was cold, she cried, if she was hungry, she’d cry, it was a totally normal occurrence. But by the time we got to the scene, she had grown so much as a person that she was no longer that little kid. So I thought a lot about how I was going to make [Dwight] cry [in the scene], and we’d worked out that there was one thing in his life so painful that I knew that’s where me and him were going to go. It was very similar to what happens in the scene in the movie. And I assumed that she would just cry, but then she didn’t. What we did was I told Dwight, ‘I need your help to make this work with her,’ and so I had him telling this story that breaks him up, and it’s so sad, and I was sitting as far away from her as I am you, just offscreen, and a lot of the way I would get her to do things is that I did them first. With any actor, you never want to ask then to do anything that you’re not able or willing to do, so if we had to jump into some cold water, I would jump in first, and be like, ‘It’s not cold, it’s fine,’ and then they were willing to go after. So that’s how it worked, is that I was crying listening to him, our boom operator was crying, the cameraman was crying, her mom was crying in front of the monitors, everyone was bawling. And I was telling her to hold it in, and it was all that support around her, everybody giving her the comfort to let herself be vulnerable like that, that made it happen. Both you and Quvenzhané are industry outsiders, you’re both young for what you do, and it’s the first feature film either of you have worked on. Do you ever feel patronised by people in the movie business? I don’t mind that, honestly. I love how people watch the movie and they just think it’s real. To me that’s the biggest credit, that it’s like, ‘Oh, you must have had everybody improvising, and you must have just found amazing sets, and there must just be a place like this that actually exists and there’s no way that you could have made a film like this.’ I know that all that stuff was the product of months of rehearsal and the most difficult conditions and building things in the most insane ways. So I like it when people think we must have just sprinkled some seeds on the ground and it just grew. That was sort of the idea. If there is anything that I care about the most as a director, it’s that no one ever thinks about what I’m doing. You never want to make your presence felt in the film. For every technician, the ultimate goal is to disappear inside the story. So I sort of love that, actually. You’re really not the typical controlling auteur, are you? It’s extremely collaborative. We have all these artists who are not, like, film workers; they don’t go and work on another film after this, they go back to building boats or painting or sculpting or whatever they do. And so the idea behind [Zeitlin’s filmmaking collective] Court 13 and how we approach production is that we’re giving each artist a tremendous amount of agency over their own task. We’re giving each actor agency over their character; the location scout can go bring me stuff that I didn’t write in the script; and the script has to be this flowing thing that can incorporate what amazing things people bring to the table. You have to be very humble to all the creativity around you to be able to adjust and adapt and make all that stuff work. And that’s a big part of the concept of how the films are made: it’s not an individual vision being executed. I’m trying to kind of get better ideas from the talented group of people that we have around us and that to me ends up better than something I could dream up. I used to do animation and control everything and those films aren’t nearly as good, because these ones have the personality of a community rather than an individual and that is something I’m really interested in. Have you always made films? I didn’t always know I wanted to be a filmmaker but I’ve always made films as part of making puppet shows and writing music and stories. Art was what I did for fun most of my life and one of my friends had a video camera from middle school on, so Friday was the day that we’d go make a movie, and then Saturday was band practice, and then Sunday was something else. It took a long time for me to figure out that you had to have a career first of all, and that I needed to choose what I wanted to pursue, and then when I did, it ended up being film. So I wasn’t born with a camera in my hand or anything like that, I certainly wasn’t making things that were any good most of my life. But it was always a part of my life. I would watch movies psychotically from when I was a kid until now. So do you think you gravitated towards film because it’s so collaborative? That was collaborative and also the kind of work you get to do is diverse. I get to write, I get to work with actors, I get to go on adventures on boats, I get to write music still, I get to incorporate all these different things that I love, and then, like, pass it off as a career, which is great. You have said before that you altered the script after getting to know the actors. Was that spirit of defiance always a part of the script, or did it come from Quvenzhané and Dwight (Henry, the baker mentioned above)? It was in the initial idea and it was inspired by the culture [of Louisiana, where the film was set and shot]. When I came to New Orleans, it’s why I stayed there, because I loved that quality. It just doesn’t judge people. There’s no impulse that anybody is trying to make anybody else live the way that they do. It loves weirdness and eccentricity and iconoclastic people and not in a way that’s about being anarchists; it’s not a movement, it’s just an accepting, open-hearted way of life. So I was very inspired by that and the kind of unity that it creates. You and your crew, which is made up of artists rather than film-industry professionals, lived out in the wilds on the shoot in a similar way to the Bathtub community. Both sets of people were outsiders and underdogs. Did that feed into the film? Yeah. That’s my personal way into the characters and the story. So much of me is in Wink and Hushpuppy that just has to do with, like, our little band of people who want to make art independently, that want to take on impossible circumstances, that are unafraid. It’s like the chicken and the egg. The process inspires the next story and then that story is made in a way that we live it, and that evolves who we are. It all feels very organically connected, from the shorts up until this film. We’ve heard that Court 13 is working on another film in the same area of Louisiana? It’s super early yet but yeah. It got out in the world, because I said something, just blathering, but we are very much working in Louisiana again. It’s going to be the same people again and the same system. It’s going to come from the same kind of cultural place. No, no, no. Nothing like a sequel. Are Quvenzhané and Dwight going to be in it? Well, I haven’t written it yet, but they’re the greatest actors, I love them, and I would love to work with them again so hopefully that will happen. You have described finding Quvenzhané as a ‘miracle’. To what degree is this now her movie? Everywhere I’ve gone in every country, her performance and her character land when people don’t understand anything else. I’ve watched the movie with a horrible translation, nobody understood anything that anybody was saying and they still latched on to her. Almost all the films coming out at the moment that are set in the future are so gloomy and dystopian. Is it important to give people hope, to say it’s worth doing your recycling, because we’re still going to be here in 50 years? Yeah, I love people and, like, I believe in our place on the planet. I’m interested in how to proceed with optimism and hope. It’s certainly not an easy thing to do considering everything that’s going on in the world but trying to find a way to not get defeated by all that stuff is something that I’m really interested in.